Location: North of Highway 57 near Sulphur Springs road in McNairy County, Tennessee, 3.5 miles northwest of Ramer. It has gently rolling hills with the Neatherly Branch providing spring water year round. Timber on the property is is various stages of natural regeneration. There have been numerous timber sales in the past, some required as the result of tornado damage. 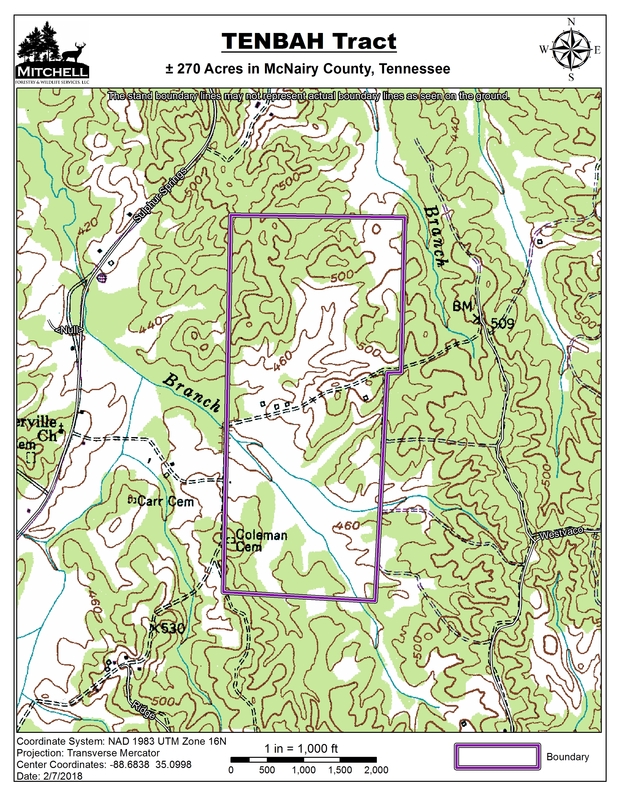 This property is landlocked, but has access across the other landowners from the east and the south. Stand 1 is ±51.7 acres that was previously salvage harvested due to tornado damage. Stand 2 is ±34.9 acres of mixed pine and hardwood timber in good merchantable condition. 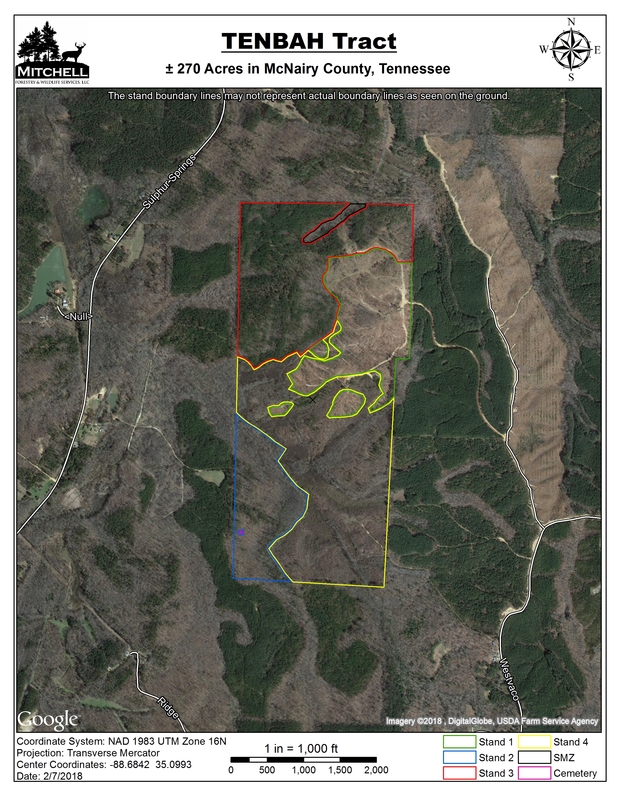 Stand 3 is ±77.2 acres that was previously salvage harvested due to tornado damage. 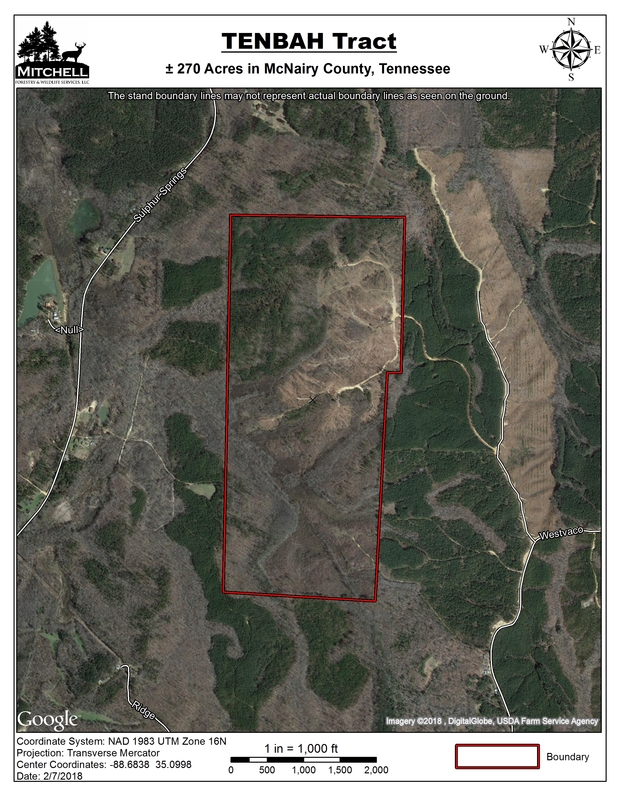 Stand 4 is ±103 acres of immature mixed pine and hardwoods. The Coleman Cemetery is comprised of two graves dating back to the 1800’s. Wildlife on the property is abundant with whitetail deer, wild turkey, and many small game species.